I want the new freeway to be this wide! 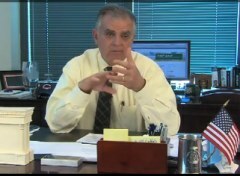 U.S. Department of Transportation Secretary Ray LaHood has some explaining to do. After ABC News questioned spending on a trip to Europe by American bureaucrats to study outdoor advertising practices, U.S. Department of Transportation Secretary Ray LaHood has suspended all funding for the FHWA’s International Technology Scanning Program. That program has funded many transportation policy-related trips over the years, including one that looked at European biking and walking safety and mobility practices in 2009. 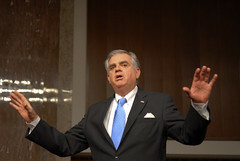 We’ve got to hand it to US DOT Secretary Ray LaHood. Whether it’s showing panache by hopping up on a table for a speech at the National Bike Summit, or creating a buzz about biking on Huffington Post — this guy understands how to communicate and he keeps bicycles in the limelight while doing so. The US Department of Transportation Secretary is on a whirlwind trip through Portland to show his support for road safety, bicycling, and streetcars. 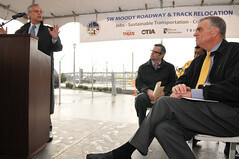 LaHood is joined by several high-level DOT staffers and Federal Transit Administrator Peter Rogoff. 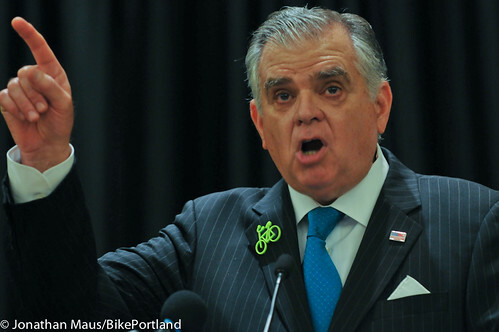 I was hoping to meet up with him for a bike ride this morning, but LaHood is apparently suffering from a cold and the ride has been canceled. 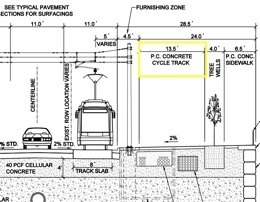 Detail of SW Moody cross-section. As we noted recently, US DOT Sec. 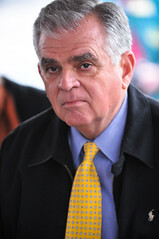 Ray LaHood is making a visit to Portland next week. While here, LaHood will join Mayor Adams, Congressmen Earl Blumenauer, David Wu, Kurt Schrader, and regional transportation bigwigs in the South Waterfront District. Sec. LaHood is coming to Portland. 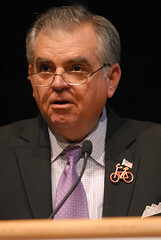 The Bicycle Transportation Alliance (BTA) has nabbed a personal visit from U.S. Department of Transportation Secretary Ray LaHood. At the BTA’s request, LaHood is slated for an invite-only event that will take place in Portland on March 21st. BTA Executive Director Rob Sadowsky says they initially asked LaHood’s staff if he’d be willing to accept an award of recognition in person at their annual Alice Awards gala slated for April 23rd. That date didn’t work for LaHood’s schedule, so his office suggested a different date and the BTA was happy to oblige. U.S. Department of Transportation Secretary Ray LaHood announced today that the latest traffic data shows “major, across the board declines” in all categories of fatalities and the lowest numbers in six decades.